1492 x 1492 pixel album cover included with any song purchase. After five long years in limbo, much of Alpha Rev's best work is finally available to the public -- in a highly-polished package. This is a must-have record for new Alpha Rev fans and collectors alike. While this record introduces a handful of brand-new Alpha Rev tracks, it offers-up completely original arrangements of many of the classics, such as "China Sunrise", "Colder Months", and "Fade In Tomorrow" (on which Brian Batch's violin work is goose-bump-worthy). 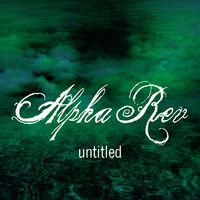 "Labor Day" has never surfaced in any of Alpha Rev's other work, so do yourself a favor and grab the full album at a discount and enjoy one of the band's most soulful, hand-clappin', funky tracks.